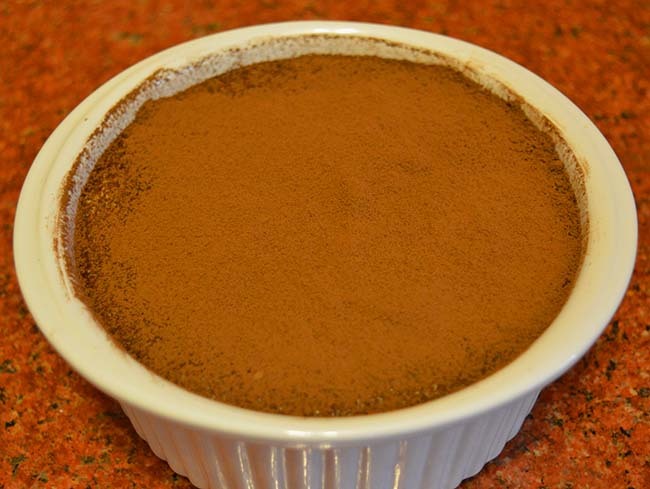 Although restaurants prepare single servings of Tiramisu, this has nothing to do with the original. 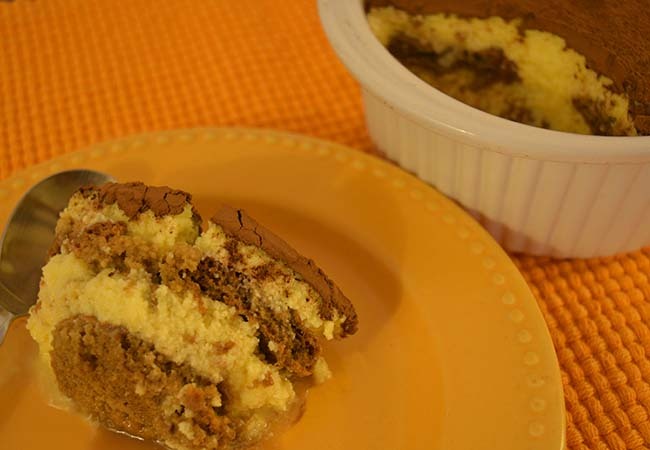 A real Tiramisu is layered into a big dish. Serving and eating it is a messy affair, nothing pretty. Alternating layers of soft Mascarpone cream with soaked Savoiardi biscuits are essential for the taste. To soak the biscuits, you need really strong coffee. I use the coffee from our simple mocha-machine. To get the right taste, you need to lace the coffee with a bit of booze. In Europe I take Amaretto and Cognac. Here in Goa I used the local brandy Honeybee. 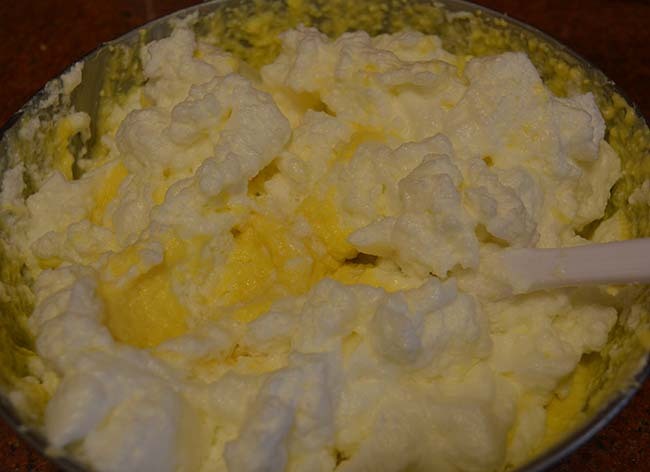 The Indian mascarpone is a lot less creamy and denser than the European one, so I used one more egg to lighten the cream. If you have any questions, don’t hesitate to email me. 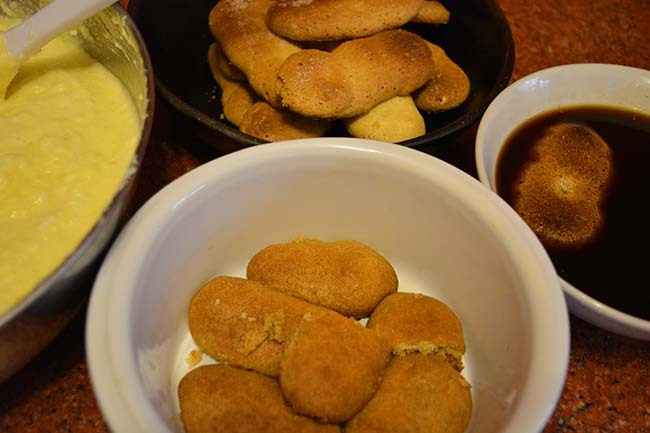 The recipe for the Savoiardi biscuits in part 1 of this newsletter. Wishing you a delicious start into 2016 and happy cooking, always! Separate the eggs. Whisk the egg whites with two tablespoons icing sugar until stiff peaks form. 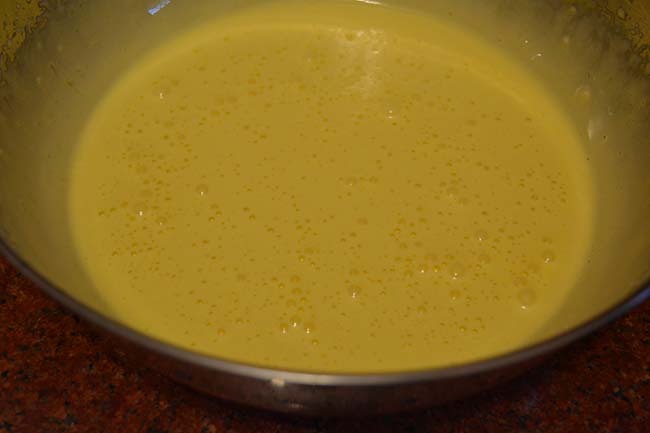 Beat the egg yolks with the rest of the sugar until creamy. 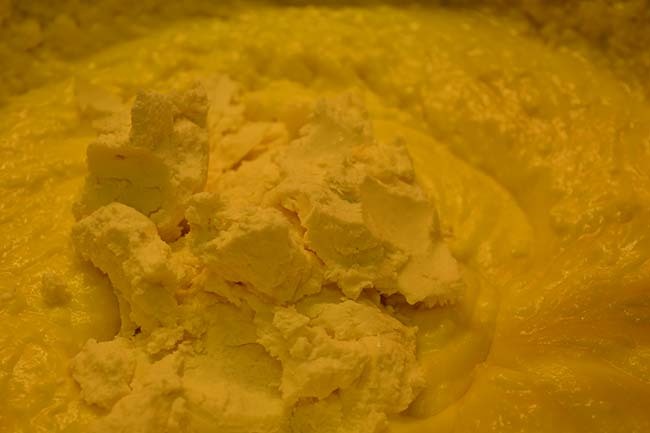 Add the Mascarpone slowly by slowly and beat with a hand mixer to a smooth cream. 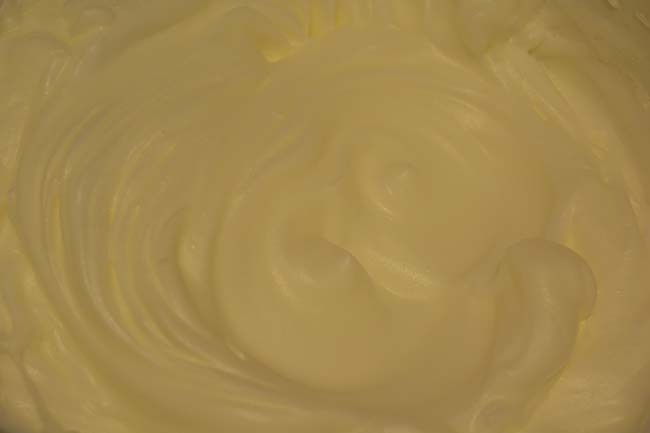 Slide the beaten egg whites on top of the cream and carefully fold it together until you have a fairly smooth cream. Place all the necessary ingredients in easy reach to assemble the Tiramisu. 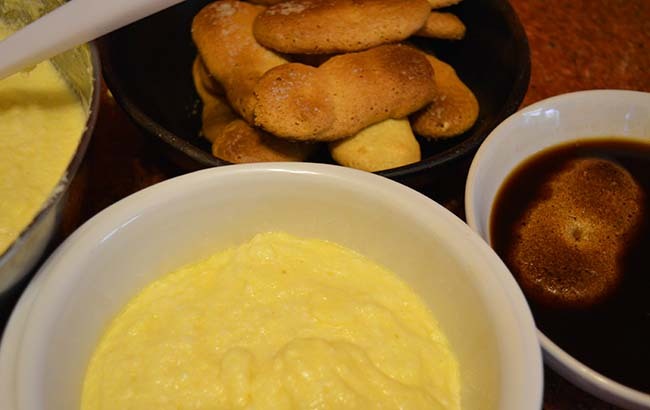 Add the alcohol to the coffee and dunk the biscuits into the liquid. Cover the bottom of the dish with coffee soaked biscuits. Spread cream over the biscuits. 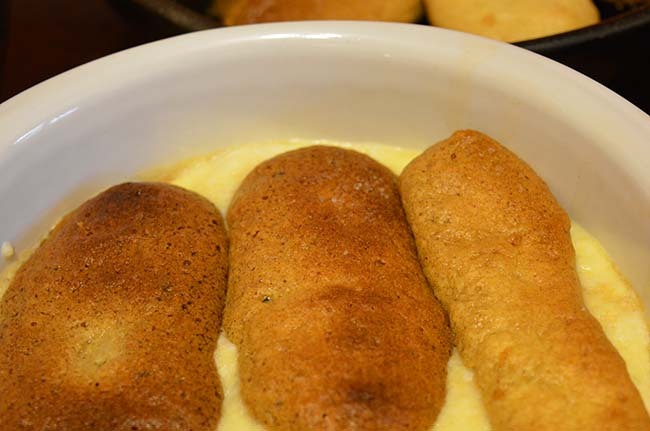 Place another layer of soaked biscuits over the cream. Finish with a layer of cream. 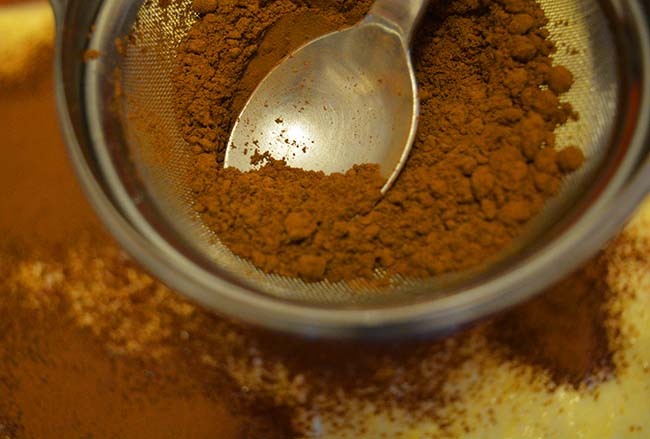 Sprinkle the Tiramisu with cocoa powder and let it set in the fridge for at least six hours. I would love to try this some day.